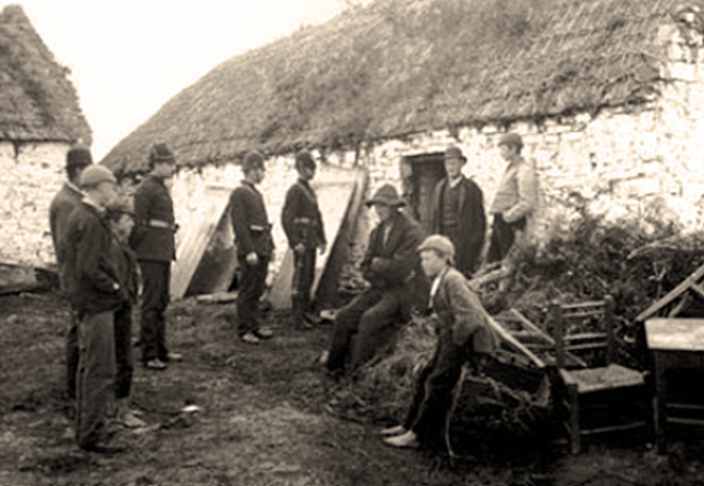 Sustainable Energy author Ireland (SEAI): Ireland 1850 Famine style Eviction? About 250,000 people were officially recorded as having been evicted during the period 1849 - 1854. 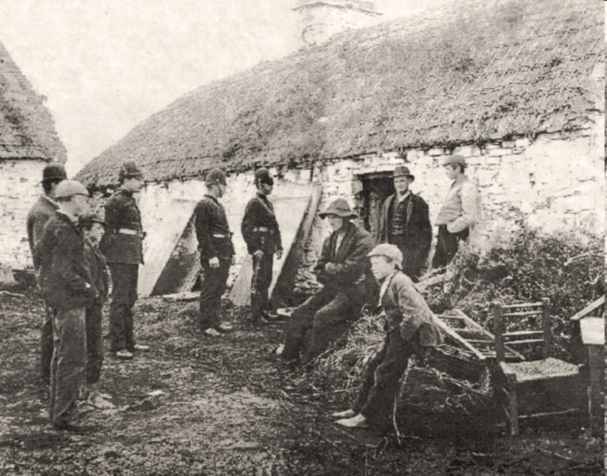 These were poor destitute people who could not pay the rent and many of whom literally died at the side of the road during those horrible famine times. This sad history is deeply etched into the Irish psyche. So when some 162 years on we see scenes closely mirroring the actions of the police and bailiffs of 1850, it is not surprising there is a major reaction and an immediate outcry. I personally reacted very strongly to the YouTube video, and was quite horrified at the apparent brutality of the act. However the 2012 picture, and the circumstances surrounding it, differ extensively to those of 1850. My first reaction of horror, disgust, and outrage at the way the eviction was carried out has changed somewhat. I still am shaken by the way it was done,.where bailiffs and police put two elderly people out on the side of the road, it pulls every race memory to the forefront . But I then looked a little deeper at the circumstances surrounding the repossession order and have come to see some mitigating influences that change the way I see the picture quite drastically. 1. The family involved appear to be savvy business people. Additionally, they are the landlords in this instance to quite a few much less well-off tenants. 2. Media reports indicate that the gentleman is an accountant and runs an international business in addition to his properties. 3. Reports vary but indicate that the family own quite a number of valuable properties which are rented out and no doubt make a good income..
4. 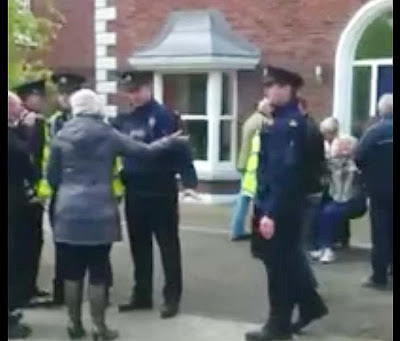 The family home involved is reported as being worth €2million or more, 10 times what the average house is worth. 5. The family had at least two years to do something about the situation, like selling off some of their investments, or selling the family home and buying a smaller house etc. they instead chose to do nothing. 6. Additionally, it would appear to me that there is a well orchestrated media campaign going on here. The tent on the side of the road, the video on YouTube etc. etc. Lights - camera - action!! I have no time for banks and bankers, government financial strategies are a mess, and I think the authorities acted unwisely in this instance - but there are two sides to every story. My initial knee jerk reaction, to the posted YouTube video of the Famine style eviction, has been tempered with a healthy dose of cynicism. This is a substantially wealthy family which could perhaps have been worth tens of millions had the Celtic Tiger not been poisoned by the extreme greed of the richer half of the Irish Nation, who, along with the bankers, played poker with property, severely hurting the nation in the process.. If you gamble at poker and you happen to lose, then don't come moaning to the public or looking for too much sympathy. I personally have no love lost on property speculators at any level. I still think the way it was done was at least harsh and ham-fisted.